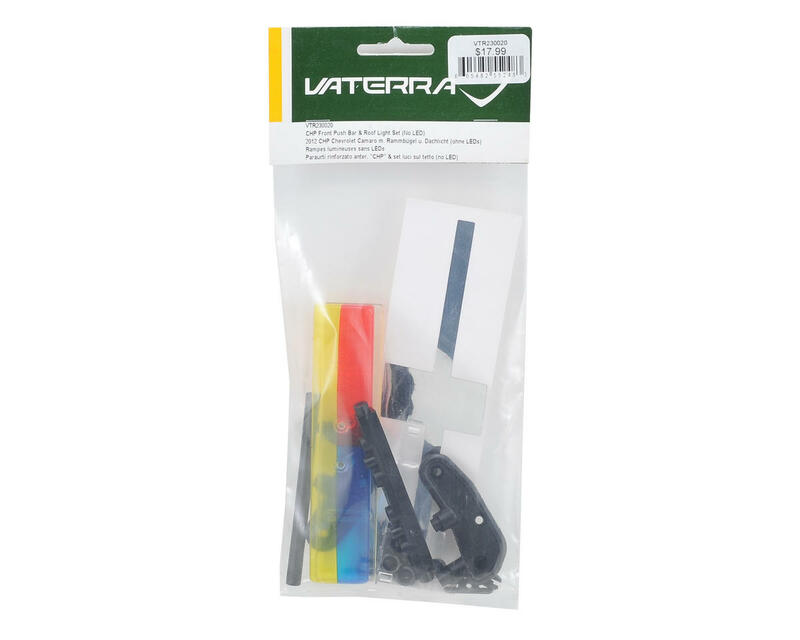 Vaterra "CHP" Front Push Bar & Roof Light Set. This is compatible with the Vaterra CHP Camaro ZL-1 model, but is compatible with all Vaterra V100S kits when you want to give your ride more authority on the street. 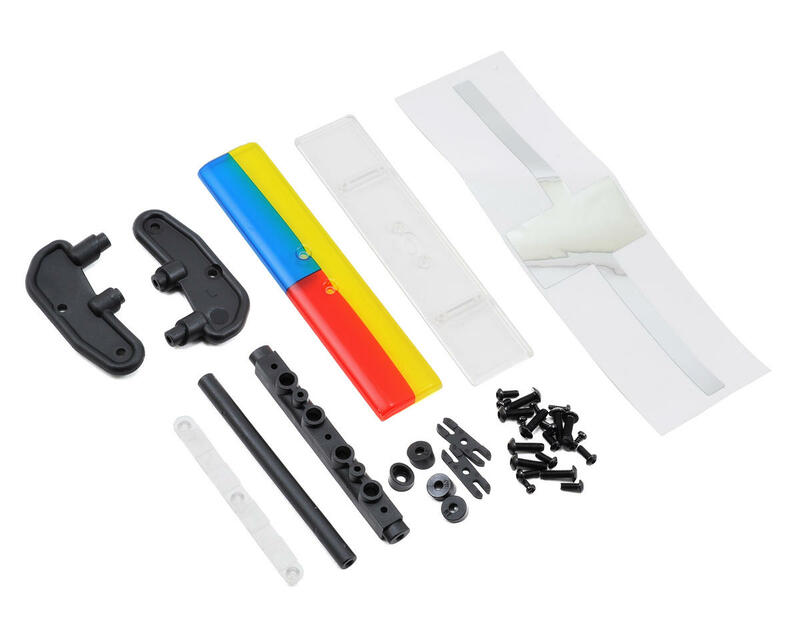 Package includes front push bar, roof light bar, and mounting hardware.